Shakespeare: To Read or Not to Read? The new movie Anonymous has just come out in theaters, causing an old controversy to arise. Did William Shakespeare of Stratford really write all of those amazing plays & sonnets? This is an interesting argument and one that can be used in your classroom as a great way to learn some debating skills. 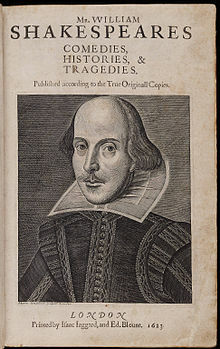 Two opposing websites are: http://www.doubtaboutwill.org & http://www.shakespeareauthorship.com. Both of these present interesting arguments and could be used as a subject for debate for your high schoolers.They provide links and essays to try and prove their point. The first ‘Doubt About Will’ even has a Declaration of Reasonable Doubt About the Identity of William Shakespeare. They complain that orthodox scholars say there is no room for doubt and that it’s not even an important question. They argue that there is reasonable doubt and that it is an important question for anyone seeking to understand his works, the culture in which they were produced, and the nature of their literary creativity and genius. So, as educators, how much does it matter if these works were written by one certain man or not? If it can be proved beyond a reasonable doubt that William Shakespeare is not the genius playwright most of us were taught he was, does that mean we stop reading and teaching the ‘works of Shakespeare’? I believe these works have lasted several centuries for many reasons and those reasons have little or nothing to do with who actually wrote them. Disproving authorship may change the way we teach the works and certainly change what we think about Will and the importance of his life–but the times he lived in, the history of the theater, and the actual plays themselves are still full of history, human drama, incredible wordplay, and they are a great way to teach the history of the English language. In my next post, I will include some teaching aids for teaching Shakespeare for all ages in the form of books and websites. So where do you stand on the controversy and/or do you personally think it matters? I read the complete works of Shakespeare many years ago. He was a great writer and had a great command of the English language. I later met Dr. Louis Marder who was the publisher/editor of THE SHAKESPEARE NEWSLETTER. He said that William Shakespeare wrote the works of William Shakespeare.